Course Description: This educational program is designed to provide didactic information and clinician development related to sexual and gender minority health delivery and cultural competency in the context of rehab. The participants will learn to broaden their cultural knowledge and behaviors to help improve interactions and understanding when working with these populations. From what little data we do have, we know that people who identify in the sexual and gender minority spectrum experience some form of healthcare discrimination significantly more than their counterparts (CAP,2017). A great deal of that discrimination stems directly from healthcare provider interactions. Respectful engagement with our patients can have a direct impact on the health disparities that exist in these communities. 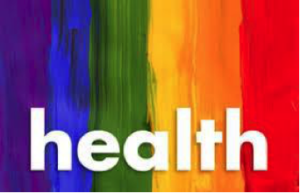 Utilize respectful and culturally appropriate terminology when discussing healthcare about/discussing health care with someone who identifies as a sexual and/or gender minority. Dr. Bell has a balanced career of clinical experience and academic teaching and professional scholarly activity. Her 12+ years in academics has centered around clinical expertise and board certifications in both geriatrics and orthopedics, national presentations and publications, and expanding curricular integration in the areas of inclusive cultural competency. Her most recent national presentations have focused on curricular adaptations from the medical curriculum in this area. She is involved in 2 research studies in the area of health profession faculty development to integrate sexual and gender minority cultural competency content into curriculum and a collaborative inter-institution mixed-method study on LGBTQIA+ issues in physical therapy. She is an educational consultant with experience in providing expertise in both faculty and staff training for inclusive cultural competency practices regarding sexual and gender minority populations in patient care and student support. She has served in numerous roles, regionally and nationally to help enhance health equity and inclusive cultural competency: faculty Board member of APTA’s HPA The Catalyst committee PT Proud, Jefferson LGBTQI+ Health Initiative committee member; co-advisor for a University undergraduate organization, Out in Science, Technology, Engineering, and Mathematics (oSTEM), Co-chair of a University’s LGBTQ Faculty/Staff Caucus, and Co-Chair of State of DE LGBTQ Health Equity Task Force with the United Way of Delaware. Paypal: Send to registration@phillyclined.org as a personal payment. Please indicate the attendee(s) name(s) in the comments. Members of the Professional Advisory Group (PAG) may attend the course for free. Please still register at the link above. Continuing Education Credits: 2.0 contact hours will be awarded as the PACEc is a preapproved provider of continuing education in the State of Pennsylvania. For approved CEUs from other states, please use your course materials and certificate to personally apply for credits through the State Board. DE CEUs have been applied for. Course Location: Harcum College, 750 Montgomery Ave, Bryn Mawr, PA 19010. The course is in the Little Theatre of Melville Hall, parking is free, the Bryn Mawr stop on the Paoli /Thorndale line is a minute walk, all directions and maps at Harcum.edu. Directions and Parking: The course is in the Little Theatre of Melville Hall, parking is free, the Bryn Mawr stop on the Paoli /Thorndale line is a minute walk, all directions and maps at Harcum.edu. Test required for receipt of CEUs (2 contact hours, PA only). Upon viewing the modules and completion of the post test, please email registration@phillyclined.org to confirm course completion.